A significant part of the site was cleared by early settlers for dairying and small cropping. Much of this exotic vegetation has been removed as part of the endangered littoral rainforest management. Both the littoral rainforest fronting Belongil Creek and the swamp forest behind the frontal dunes were previously extensively cleared of native vegetation. In the late 1960s the site was developed and known as Globetrotter’s Caravan Park. This was later replaced by small self contained cabins in the late 1980s, a few of which still remain. The site was in need of TLC when it was purchased by Becton in the late 1990s. 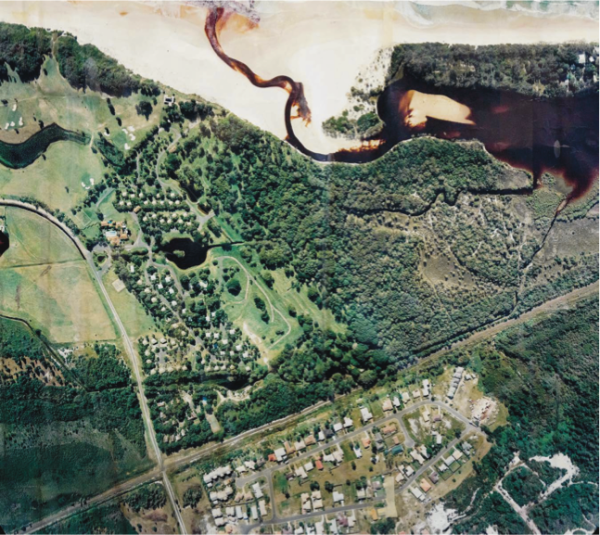 Due to proximity to the Tyagarah Nature Reserve and Belongil Estuary, remnant areas of bushland have demonstrated considerable recovery potential despite past land clearing.